The World Solar Challenge is coming up again this October (see also my hyperlinked list of teams), with the usual solar-powered dash down the Stuart Highway from Darwin to Adelaide. But the road to Darwin is just as tough, with teams spending time raising money and constructing their vehicles. Some of the teams had a trial run at the Abu Dhabi Solar Challenge. World Solar Challenge 2015 coming in October! The World Solar Challenge is coming up again this October, and the team list has been released. The teams (in three classes) for 2015 are shown below. Note: the three lists below are now out of date – see later posts for updated information (Country list, Cruiser list, Challenger list). Note: the three lists above are now out of date – see later posts for updated information (Country list, Cruiser list, Challenger list). 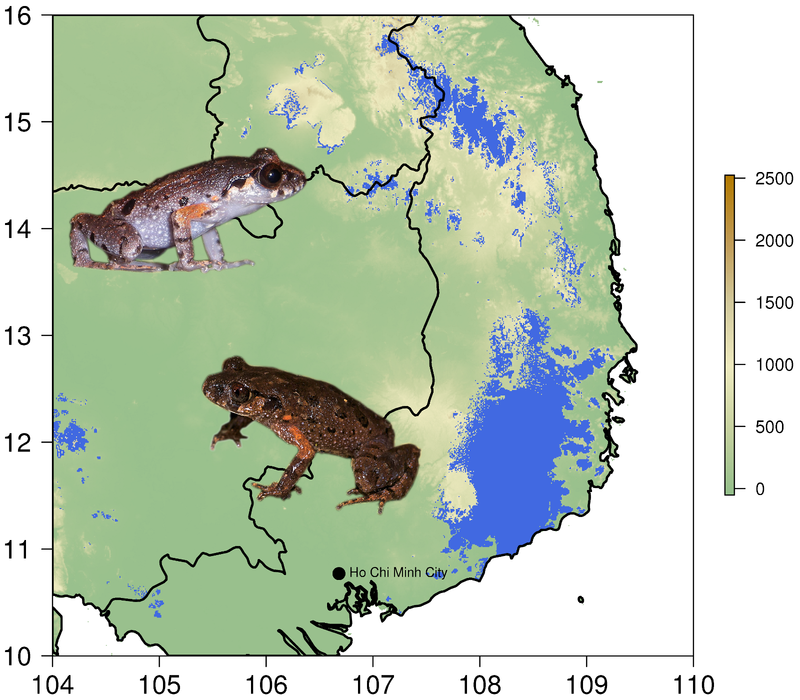 Predicted suitable range (in blue) of frogs from the Leptolalax applebyi group in Vietnam, Cambodia, and Laos (modified from Rowley et al. 2015). The vertical colour scale shows elevation in metres. Frog images are by Jodi Rowley. I was very excited to have the opportunity to collaborate recently with AMRI at the Australian Museum on a paper about frogs, which has just appeared in PLOS ONE: Undiagnosed Cryptic Diversity in Small, Microendemic Frogs (Leptolalax) from the Central Highlands of Vietnam (Jodi J. L. Rowley, Dao T. A. Tran, Greta J. Frankham, Anthony H. Dekker, Duong T. T. Le, Truong Q. Nguyen, Vinh Q. Dau, Huy D. Hoang). My main contribution to the work was in ecological niche modelling – see the map above. The Leptolalax applebyi group discussed in the paper hides a number of similar-looking but distinct species of frogs, often restricted to small geographic areas (DNA and acoustic evidence can be used to distinguish them). 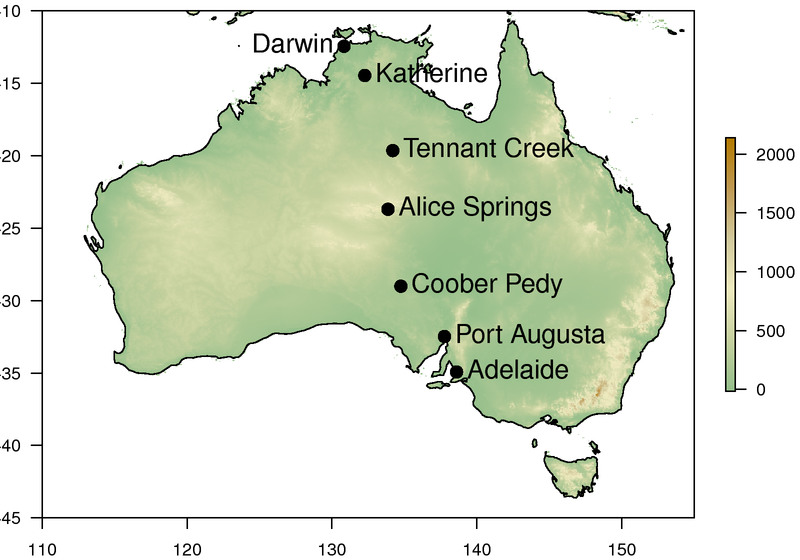 Ecological niche modelling using climatic and terrain data produced the above map of areas predicted to be suitable for these frogs. Unfortunately, as of a 2008 satellite study, only 55% of this suitable area (in blue on the map) was covered by the broadleaf evergreen forest which these frogs need. The resultant habitat loss may therefore have already led to the extinction of frog species which we will never know about. Less than a third of the remaining area has government protection, so further habitat loss is, sadly, a strong possibility. The example of the Leptolalax applebyi group underscores the need both to strengthen conservation efforts around the world, and to put more effort into describing the world’s species diversity, so that we know what needs protecting! Losing a species (like the passenger pigeon or the gastric-brooding frog) is tragic, but sadder still is losing species without even realising that they existed. This plaster model was made by the great James Clerk Maxwell in 1874 (the photograph was by taken by James Pickands II, 1942). This historic artefact is one of three copies, held in museums around the world, including the Cavendish and the Sloane Physics Laboratory at Yale. I recently read The Poincaré Conjecture: In Search of the Shape of the Universe by Donal O’Shea. This 2007 book was one of the flood that greeted the proof, by Grigori Perelman, of the Poincaré conjecture. It is probably the best of them. The 3-sphere x2 + y2 + z2 + t2 = R2 (horizontal t scale exaggerated 10 times, and only showing 21 of the infinitely many hollow balloons). These hollow balloons can be nested inside each other to make two solid balls (one sequence from the left to the centre, and one sequence from the right to the centre). A 3-sphere is therefore equivalent to a pair of solid balls, where the two surfaces of the balls are imagined to coincide. That is, any path “leaving” one ball immediately “enters” the other at the corresponding point. As a consequence, the 3-sphere has no boundary. As an example, consider a path from the centre of the left sphere, moving upwards. On reaching the north pole of the left sphere, the path immediately shifts to the north pole of the right sphere, but moving downwards. Then, on reaching the south pole of the right sphere, the path immediately shifts to the south pole of the left sphere, now moving upwards again. In this way, the path eventually reaches its starting point. 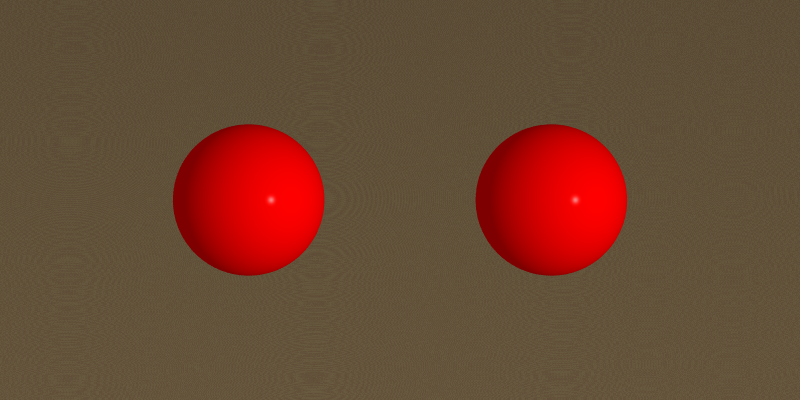 The 3-sphere x2 + y2 + z2 + t2 = R2 as a pair of solid balls, where the two surfaces of the balls are imagined to coincide (thus leaving the 3-sphere without a boundary). The Poincaré conjecture – now proved by Perelman – concerns potential universes that are connected, and in small regions look like Euclidean 3-space, but are also finite in size, and lacking a boundary. Henri Poincaré conjectured that the only such potential universe with the additional property that each loop in the space could be continuously tightened to a point was the 3-sphere. Both the road to that conjecture, and the road from the conjecture to the proof, make for fascinating reading. So, if you haven’t already read this book, look for a copy. As a side issue, O’Shea also touches on the interesting suggestion that the universe as described in Dante’s Paradiso (see image above) is a 3-sphere. It is still a possibility that our universe has that shape too.